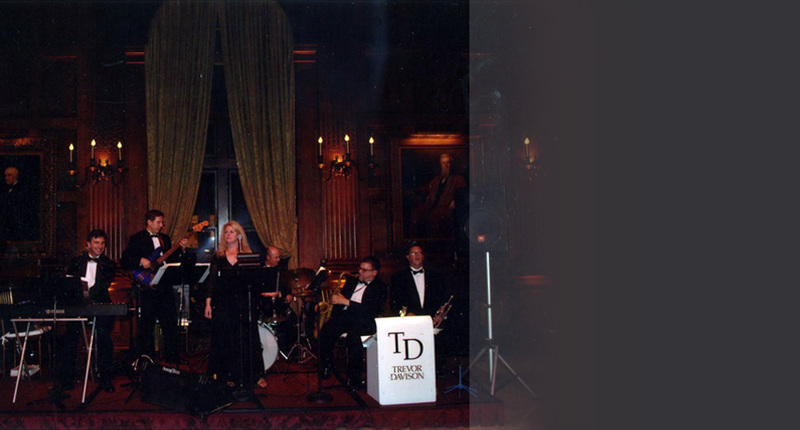 Nominated by “Dan’s Papers” for the best of best award several years running, for the best live entertainment and recommended by New York magazine annual “Weddings” edition, The Trevor Davison Orchestra has been a Hampton institution for over 16 years. Whether as an intimate jazz quartet or a full 17 piece swing band, we will help make sure your affair is indeed, a memorable occasion. Led by the vocal styling of Allyson Davison, The Trevor Davison Orchestra and wedding band has been steadfast in reviving the Big Band era, here on Long Island and NYC, while performing a mix of swing, jazz and contemporary dance music. Founder and band leader, Trevor Davison, has seen sellout weeks in advance for the widely acclaimed big band nights at the very posh Inn and Spa at East Wind in Wading River, NY. People travel from as far as Manhattan for the opportunity to dance the night away to the classic and contemporary sounds of this talented orchestra.